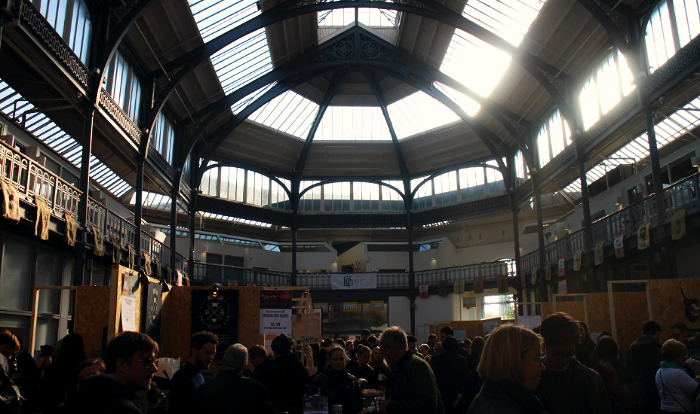 Yesterday myself and my better half popped along to The Briggait to get well and truly caffeinated as it was the Glasgow Coffee Festival, a one day event celebrating the growing speciality coffee culture in Scotland. From flat whites to half pints everything was crammed in and we thoroughly enjoyed the day, such a laid back way to spend a Saturday afternoon, throw in some delicious sweet treats and we have ourselves perfection! 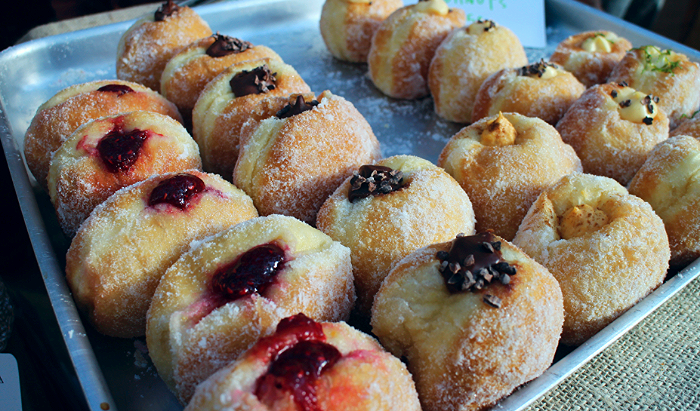 Dough my goodness...can we just take a moment to drool over these doughnuts. We shared the chocolate one and it was the messiest, tastiest most indulgent thing ever. They were by a company called Twelve Traingles and they even had a pumpkin cream cheese flavour. 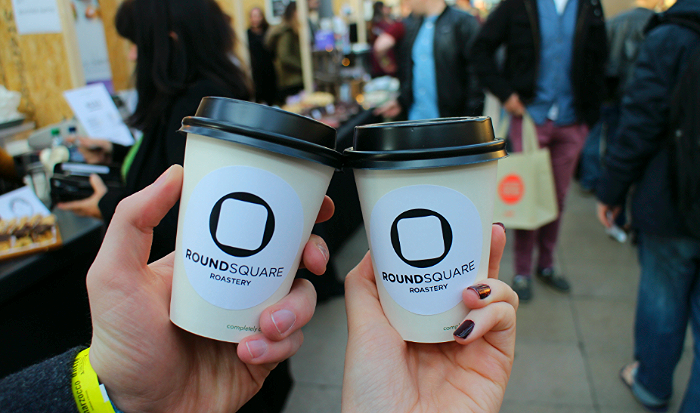 One of our first coffee stops was at Round Square Roastery who are based in Ayr, such a delicious smooth cappucino. Perfect for a chilly atumnal afternoon. Alongside a whole host of coffee offerings the festival also included hot chocolate, tea, merchandise and a lots of other treats from independent companies! There was life drawing, music and a barbers also! 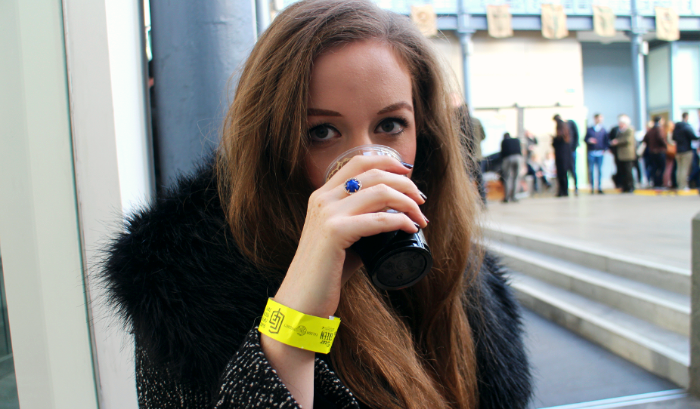 We topped the afternoon off with a wee half pint from BrewDog and then headed back out into the cold. I am by no means a coffee expert and if I'm being completely honest I am normally more of a tea lover, but it was really lovely to see the passion and craft that the exhibitors put into coffee, so for one day I was most definitely a convert! 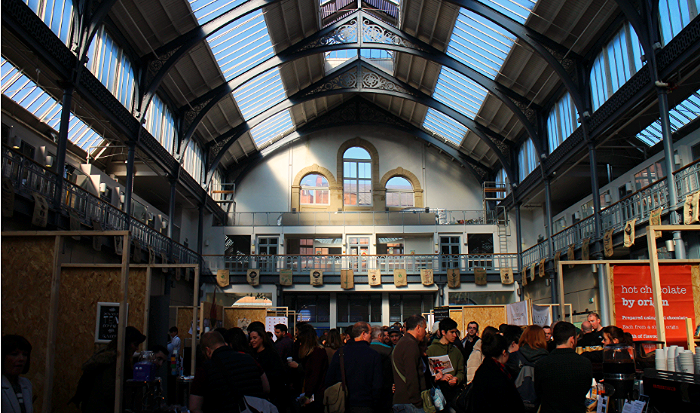 The Briggait is a beautiful space for events too, keep your eyes peeled for any more up and coming here. Whats your idea of the perfect Saturday afternoon?